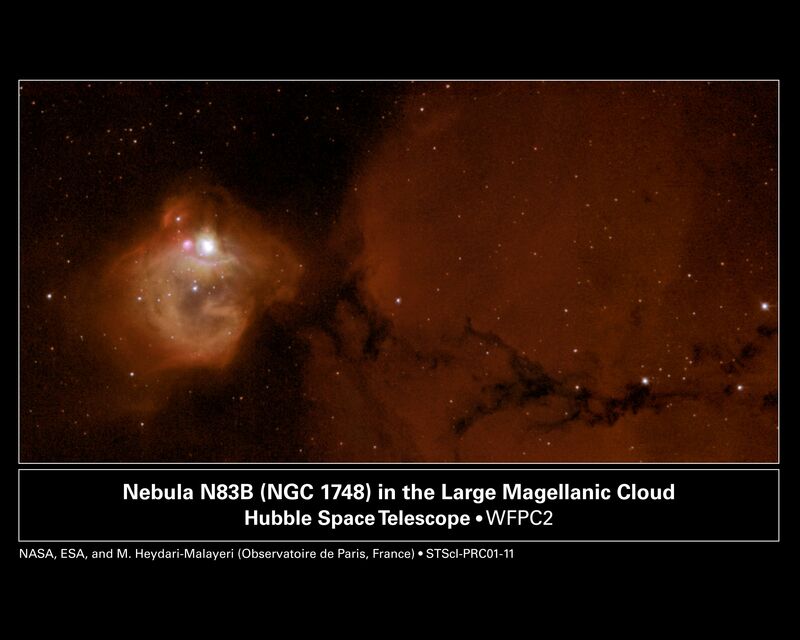 Explanation: NGC 1748 cannot contain all the new stars it has formed. The young stars, the most massive of which are bright blue, emit so much energy they are pushing out and dispersing the gas and dust that comprise this star forming nebula. Within only the past hundred thousand years, these stars have altered the bubble-like shape of the nebula and will likely destroy the nebula over the next few million years. Of particular interest is a bright region surrounded by a pink ring of dust and gas visible on the left of the above recently released picture by the Hubble Space Telescope. The center of this region is being evacuated by the wind of the brightest star in the nebula. 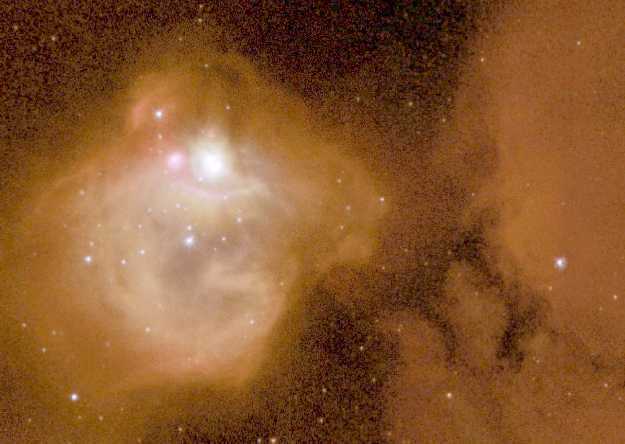 A lane of cooler dust connects NGC 1748 to a larger more diffuse nebula seen on the right. NGC 1748 spans about 25 light-years in diameter and can be found in our galactic neighbor: the Large Magellanic Cloud.